4X4 TRUCK SHOW / MMA FIGHTS TAILGATE PARTY! Tickets just $25! Join us Sunday, June 24th, at the Industry Hills Expo Center for two shows in one. The day starts at 11:00am with an off-road truck/jeep show featuring some of the finest 4x4 rock crawlers in the nation! This is not just a jeep show so bring your Ford, Chevy, Scout, International, Power Wagon ect., to our first annual event. Then at 3:00pm some of the best amateur MMA fighters in southern California will go toe to toe. Come tailgate in the arena next to your favorite 4x4 with plate lunches, a full bar, raffle and awards given. If you have a modified off-road vehicle you can feature it in the off-road show and park it in the arena. Arena parking is on a first come, first serve basis. 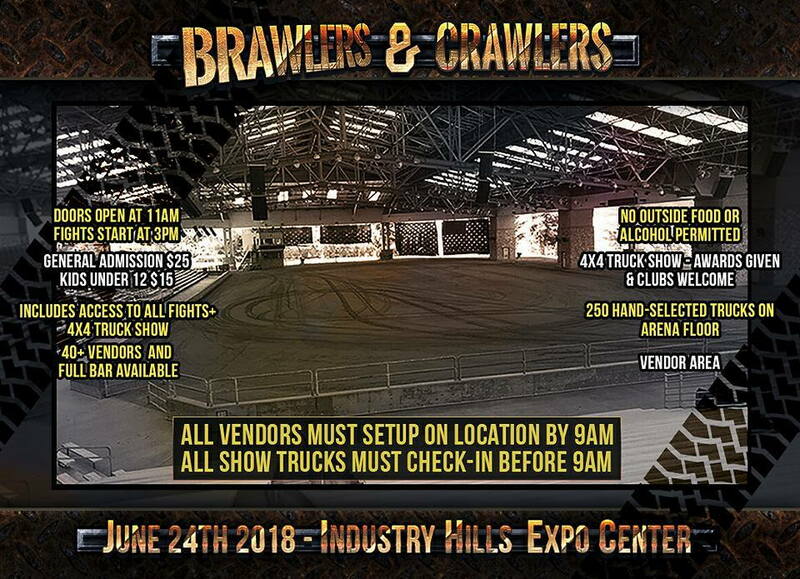 All trucks that wish to park in the arena must be there no later than 8:30am and remain in the arena until the last fight bell rings...aprox. 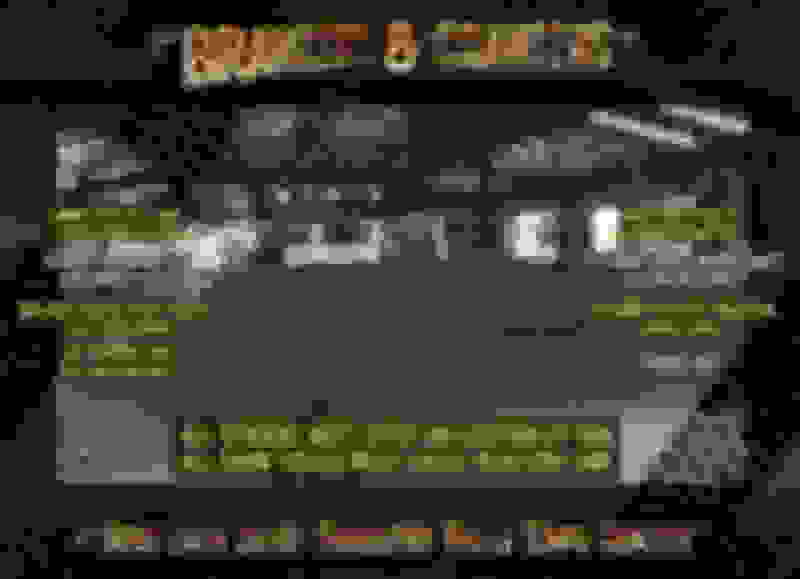 7:00pm! All 4 x 4 clubs welcome! Quick Reply: Brawlers & Crawlers!